As I’ve been creating these pieces of art, I’ve mostly been going with my first instincts for what each fantasy equivalents could be for each of the twelve gifts. Some concepts came easier than others, but with “Eight Maids-a-Milking” I don’t think I had any other ideas except this one. 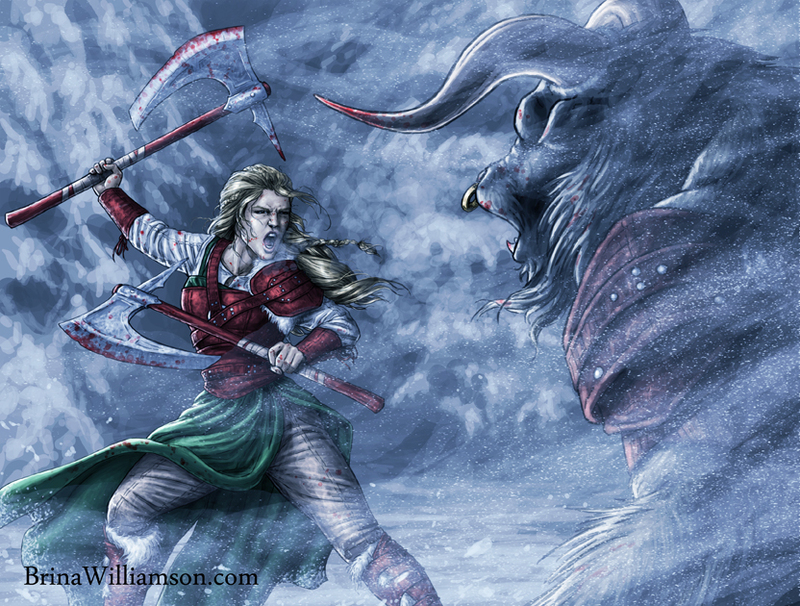 I mean, of course it should be a blood-stained warrior maiden with a pair of bearded axes battling a towering Minotaur. What else is there? If I had had a little more time to get all these ready, I probably would have done a full-on army battle, but as it is, I think it turned out rather nicely with just the one-on-one conflict. I hope everyone had a great year, and is looking forward to new opportunities for the year ahead.